The M1A1 carbines feature many of the same characteristics of the original Inland Carbines and are manufactured in the USA! 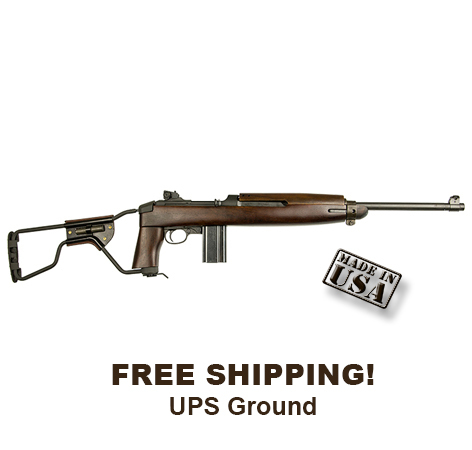 The M1A1 carbine is modeled after a late production 1944 M1A1 Paratrooper model with a folding "low wood" walnut stock, type two barrel band, and includes the same adjustable sights which were actually introduced in 1944. The M1A1 includes a 15-round magazine and offers the same common features of the 1945 M1 model. Attention to detail has been carefully taken to produce a replica as close as possible to the original Inland production including cartouche marks and stampings in the wood specific features of the Inland Carbines.